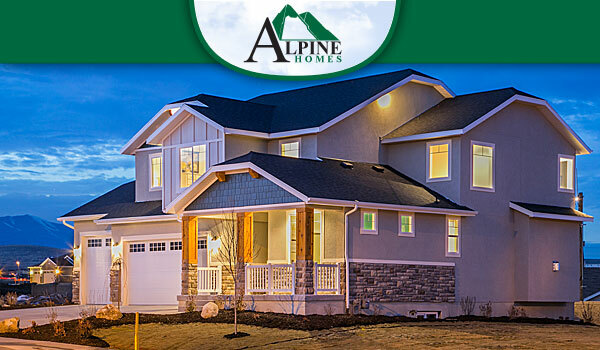 Stay up to date with news from Alpine Homes. Follow us on Facebook, Twitter or Google+ and subscribe to our emails. 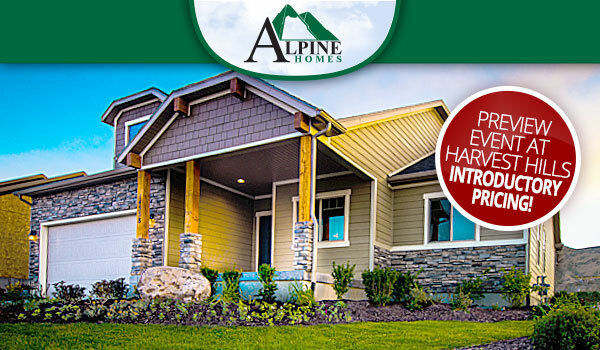 You're invited to the Dapple Gray Trails grand opening in Lehi March 23rd from 11am to 1pm. 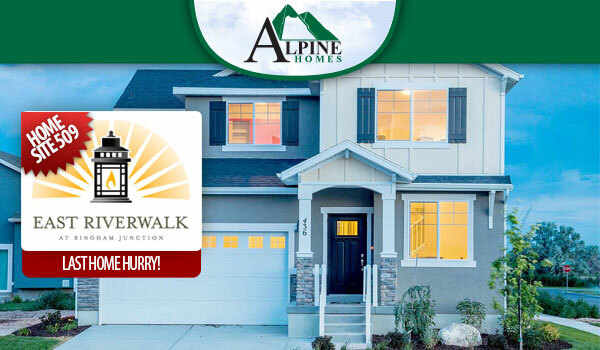 Tour the fully furnished model home and enjoy a free lunch while the community map, floor plans and pricing are unveiled. We're hiring an asst. super & warranty asst. 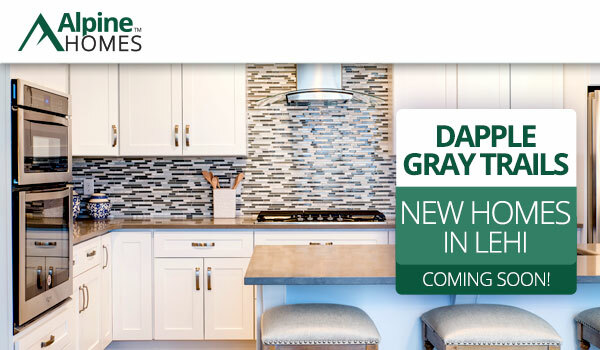 Dapple Gray Trails is a brand new community coming to Lehi! The neighborhood is conveniently located off Pioneer Crossing, is 2.1 miles from a brand new Smith's Marketplace and has easy access to I-15 and Redwood Road. 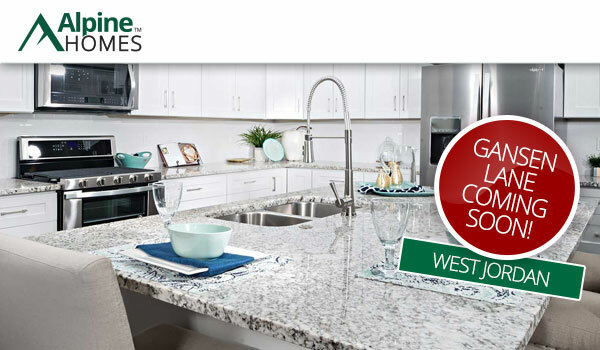 Join us Saturday, January 19th from 11am to 1pm for the Westgate grand opening in Bluffdale! Register to win one of 10 Amazon Echo Dots. * Lunch will be provided by Kneaders and the Amazon Echo Dot drawings, from those registered at the grand opening, will take place at 12:30pm. Tour the model home, enjoy a lovely lunch and see if you win an Echo Dot! Contact Aneleise today for more information. *Drawing for 10 winners of Amazon Echo Dot to be held January 19th at 12:30pm at the Westgate model home from new registrations made that day. 1 Amazon Echo Dot per family. 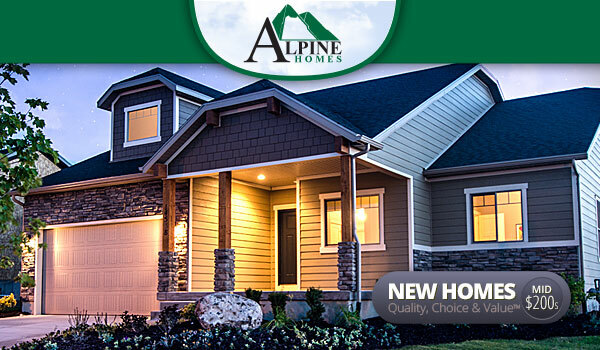 Sales agents, existing Alpine Homes homeowners and previously registered home buyers not eligible. Registration required and must be present to win. 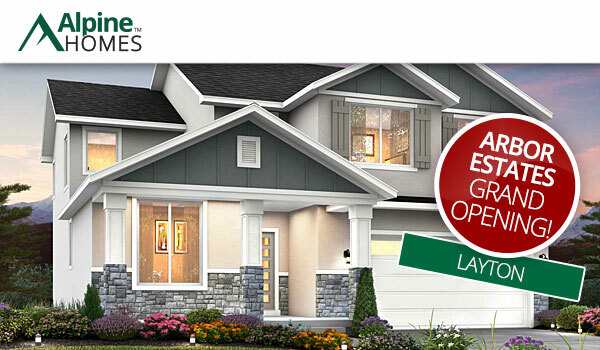 Model home and registration opens at 11am on January 19th. 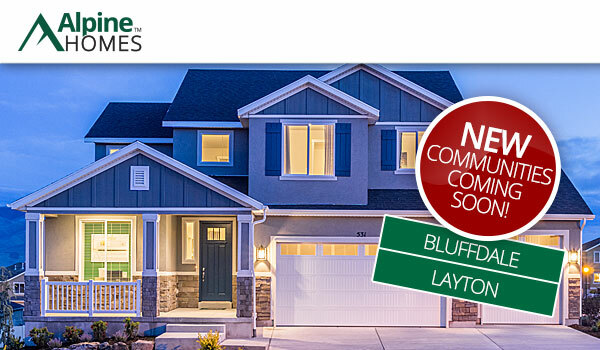 Westgate is now selling in Bluffdale! 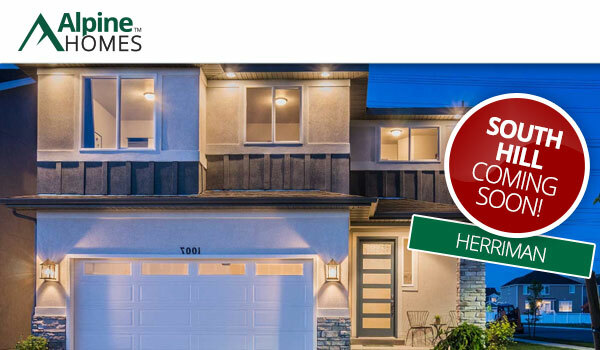 Three home sites have been released for sale at introductory pricing. 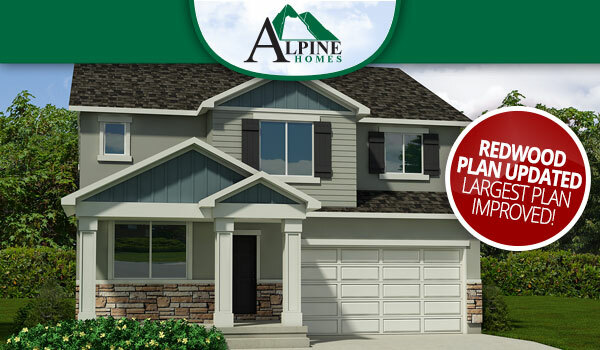 Home site 159 has also been released allowing you to build your favorite plan. 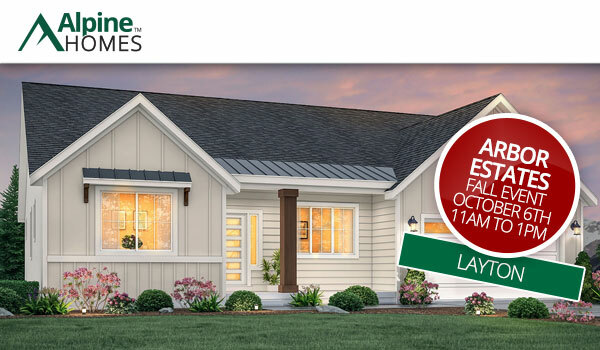 Join us September 25th from 6-8 pm at the Miller Crossing model home for a first time home buying seminar! Dinner will be provided. 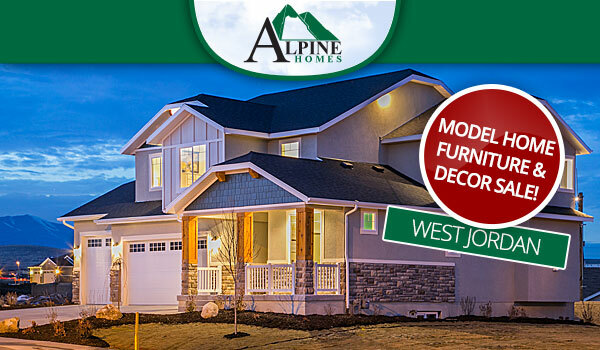 Model home furniture & decor sale in Herriman! 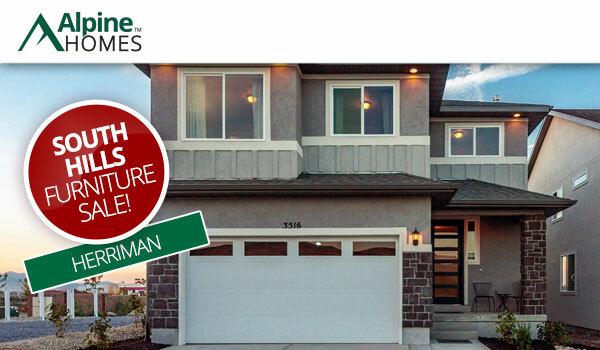 Mark your calendar and join us August 25th from 11am to 1pm for the grand opening of South Hills in Herriman. 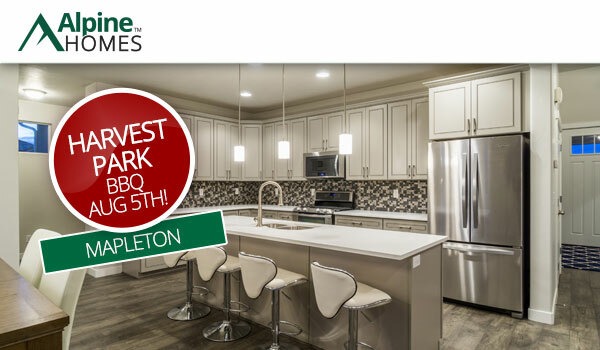 Tour the new, fully furnished model home and enjoy a complimentary back to school BBQ. New homes coming later this summer! 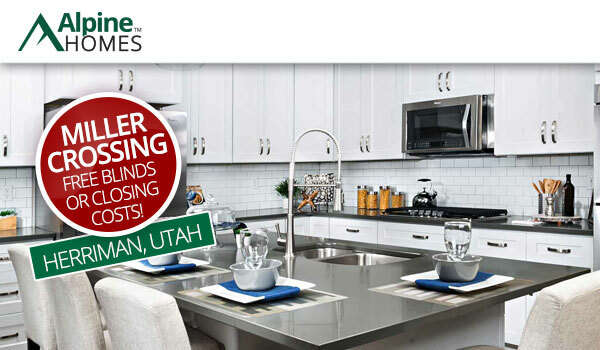 Arbor Estates grand opening in Layton March 24th! 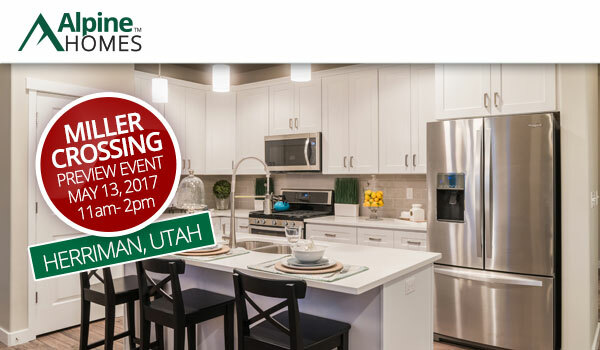 Tour the fully furnished model home at Arbor Estates in Layton and enjoy free Waffle love* at the grand opening on March 24th! We'll be celebrating from 11am to 1pm so please join us. Contact Sonia today for more information and be sure to join us for the grand opening! Don't miss out on free food and giveaways at the Porter's Crossing March Madness grand opening. Join us in Eagle Mountain from 12 to 2pm. We'll be giving away a full height curbside basketball hoop, basketballs and free food for you and your family*. 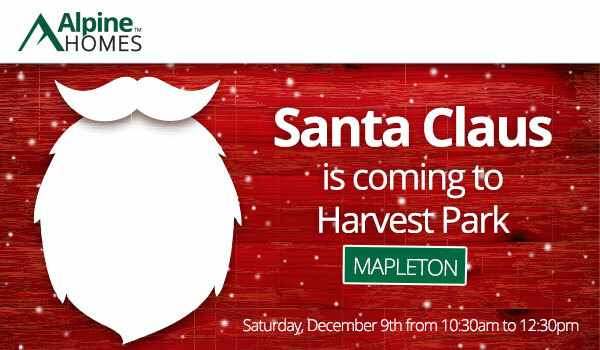 Join us Saturday December 9th at Harvest Park in Mapleton from 10:30-12:30 for a visit from Santa Claus! 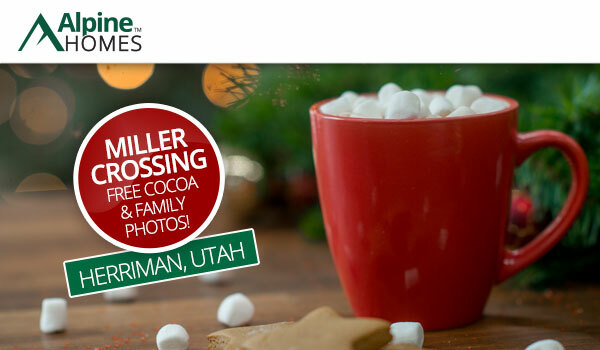 Bring your camera for pictures with Santa and enjoy delicious catered Christmas Snacks from Kneaders! Free pumpkins at Heron Hills in Saratoga Springs! 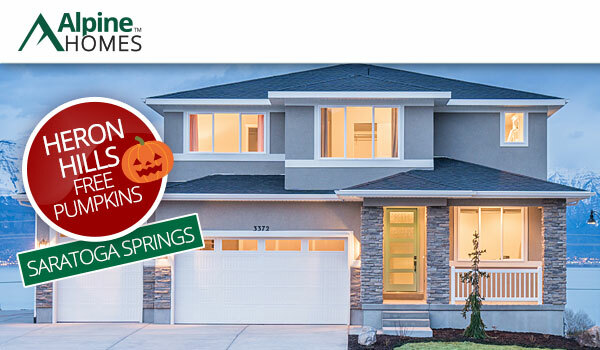 Join us this Saturday, October 21st, from 11 - 5pm at Heron Hills in Saratoga Springs for free pumpkins* and take a tour through the model and quick move-in homes! 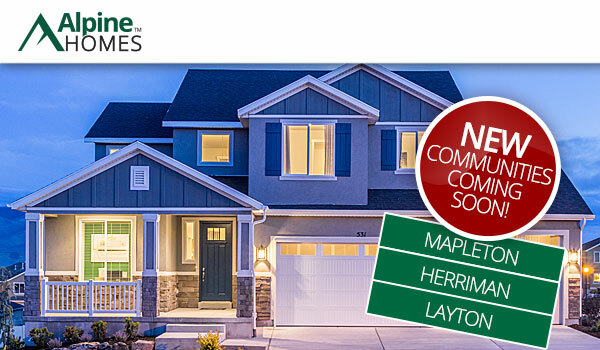 Five home sites have been released at Arbor Estates giving you some new home choices in Layton. 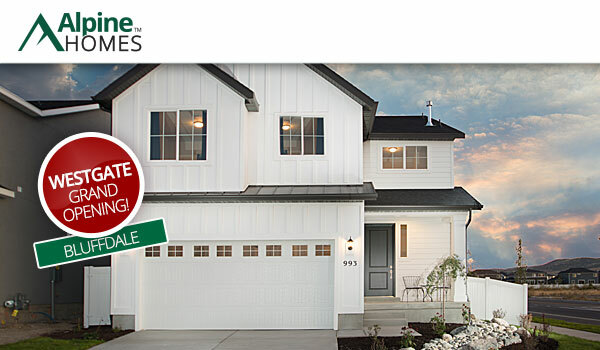 Home sites 101, 102 and 118 feature the Cascade, Ponderosa and Uinta floor plans respectively. You still have time to select interior options like cabinets, flooring and more! Please join us at Harvest Park in Mapleton for a barbecue and Amazon Echo giveaway* on Saturday, August 5th. Lunch will be served from 12 to 2pm giving you a chance to tour the neighborhood, model and quick move-in homes. Bring the whole family out for a fun afternoon activity at Willis Crossing where we've set up a petting zoo. Meet 12 animals, including a mini donkey, you and the kids can pet. Refreshments and popsicles will be served. Join us July 22nd from 12 - 2pm at the Willis Crossing model home! New communities coming this summer! Independence Village, located off 14600 south and I15, has beautiful mountain views and is a great place to call home. 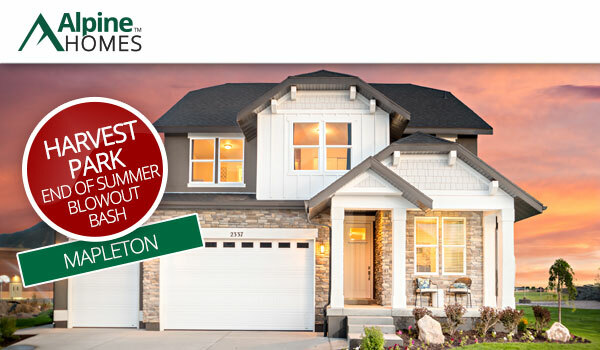 We will be releasing new homes for sale in the beginning of July. Join the interest list to receive an invitation to the Preview Event on July 8, 2017. 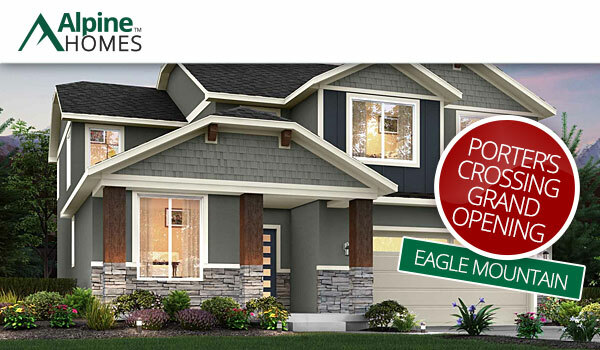 Arbor Estates is our new Layton community offering amazing new floor plans and large home sites. New home sales will begin at the end of July. Join the interest list to receive an invite to the Preview Event on July 29, 2017. Become a VIP for special introductory pricing and receive priority home site selection at our Willis Crossing preview event on February 4, 2017 from 12 - 2pm at our new Willis Crossing model home. Heron Hills phase 2 is here! Pizza & pumpkin event October 15th! 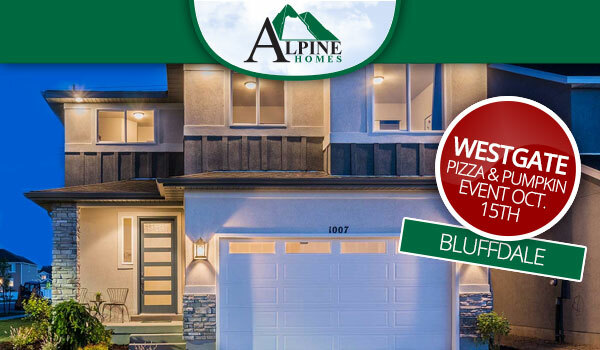 Please join us at Westgate in Bluffdale October 15th for a Pizza and Pumpkin event from 11am-2pm! We will be serving FREE Pyromaniacs Pizza to the first 50 attendants and giving away free pumpkins*. Get there early to make sure you and your family each get a pumpkin. 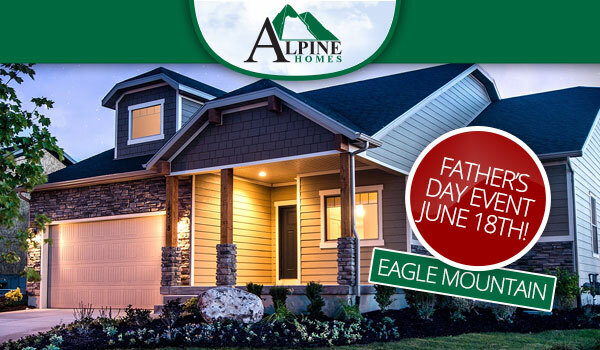 Please join us Saturday June 18th from 11 - 12pm for a Father's day event at Parkside in Eagle Mountain. Bring your children as we'll be handing out toolbox kits* for them to put together and paint as an awesome Father's day gift. Supplies are limited so make sure to arrive by 11am! 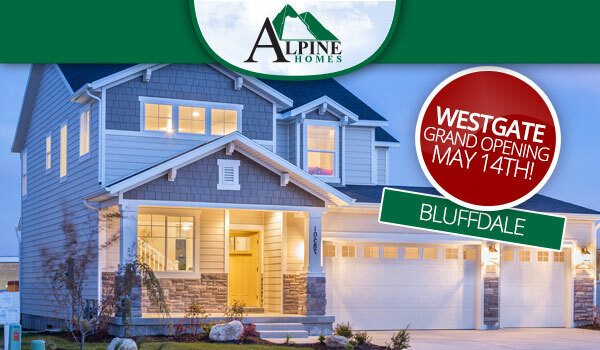 You're invited to the grand opening of Westgate in Bluffdale this Saturday, May 14th, from 11am to 3pm. Come out and tour the fully furnished Arrowwood model home while enjoying free food and drinks catered by Cafe Rio..
Get an invitation to our preview event at Westgate in Bluffdale by becoming a VIP. 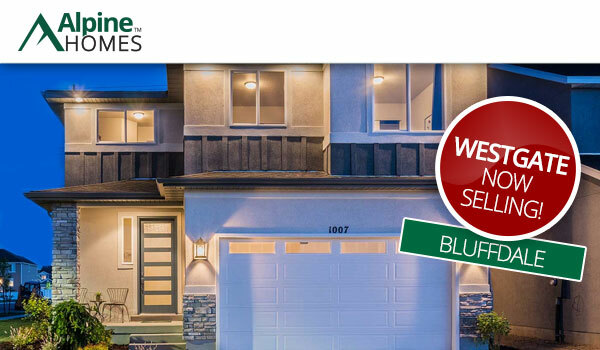 You'll get access to special introductory pricing from the $200s and priority home site selection. 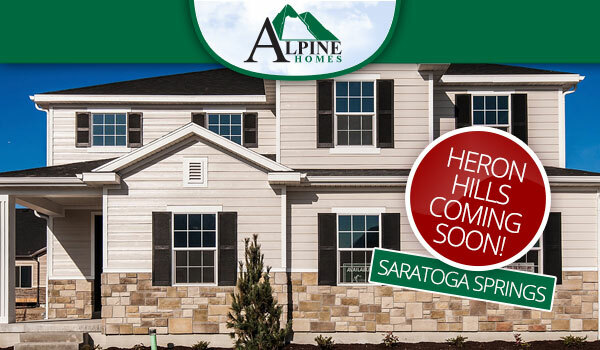 Sales will be starting soon at Heron Hills in Saratoga Springs. Get ready to move into this new neighborhood within walking distance of Utah Lake. Become a Heron Hills VIP for special introductory pricing, priority home site selection and an invitation to the neighborhood preview event. Contact Rob Ninow to get on the VIP list. 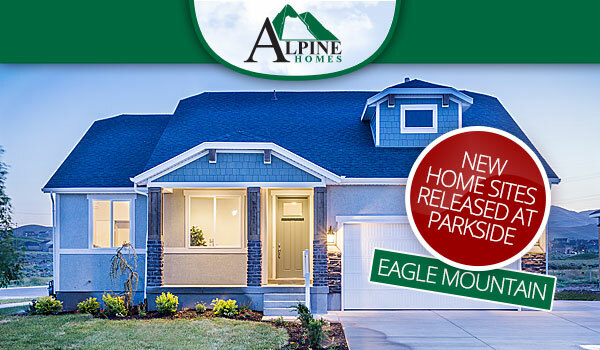 Large home sites released at Parkside! Four great move-in ready homes are available at Loneview in West Jordan. If you're among the first 50 persons to visit, you'll receive free lunch provided by Fat Kid Mac N Cheese. Be sure you show up early to get your free lunch this Saturday, October 3rd! This priced to sell floor plan offers a main-floor guest bedroom and 3/4 bathroom, plus 3 bedrooms, a loft and 2 bathrooms upstairs. It has a deluxe grand master bath, bay window in the dining, granite counters, 2-tone paint, fully fenced backyard, a vaulted master ceiling with double-door entry, and much more. Model home furniture & decor sale! Parkside preview event June 18th! 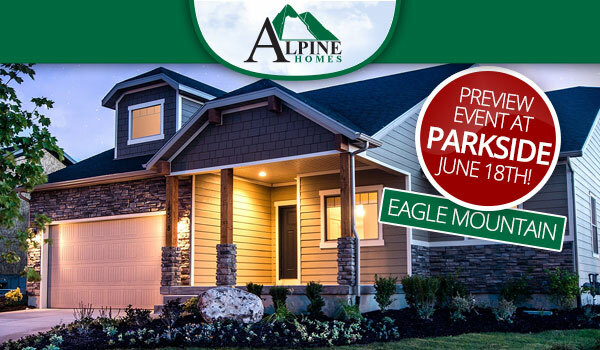 Join us Thursday, June 18th from 6 to 8pm for the Parkside preview event when home sites and pricing will be released! Receive an invitation by contacting Aneleise Weaver to get on the VIP list. Light refreshments will be served as you tour the neighborhood. If you can't wait until June 18th, Aneleise is also available to hold a pricing appointment with you before the preview event. Call her today to setup an appointment! 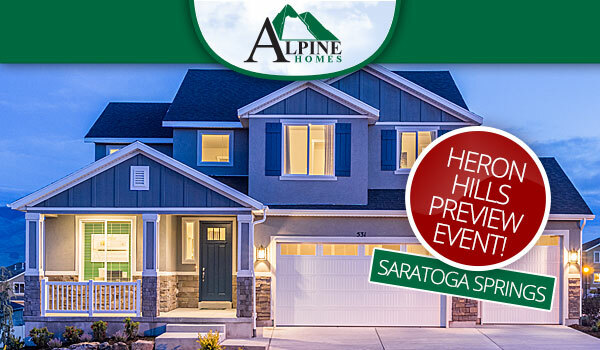 Alpine Homes is holding a preview event for Harvest Hills in Saratoga Springs on May 20th from 6 to 8pm. 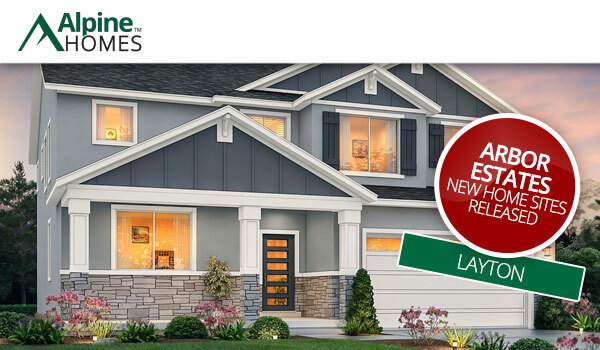 Attending the preview event gives you special introductory pricing and priority home site selection. Register now for an exclusive invite. 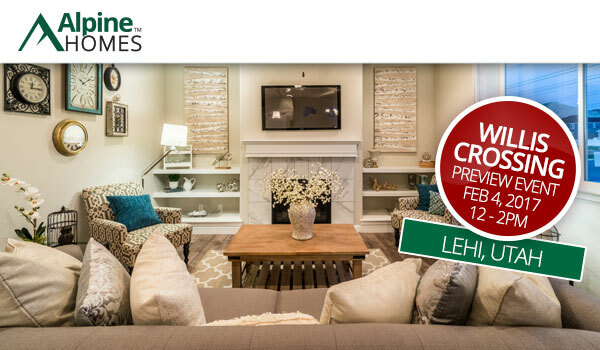 4 home sites left at LeCheminant! 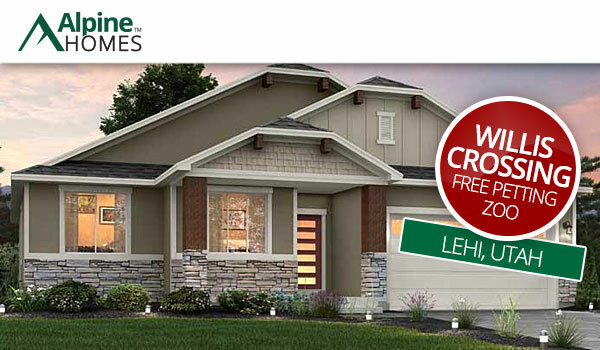 There are only 4 build-to-suit home sites left in the current phase of LeCheminant in Vineyard! If you've been wanting to build a personalized plan to meet your needs in this great community, act quickly! Are you looking to move into something faster? Call Aneleise Weaver for information on quick move-in homes in LeCheminant. Some homes can be built quickly but still allow you to personalize interior selections! Call Aneleise today for more information! 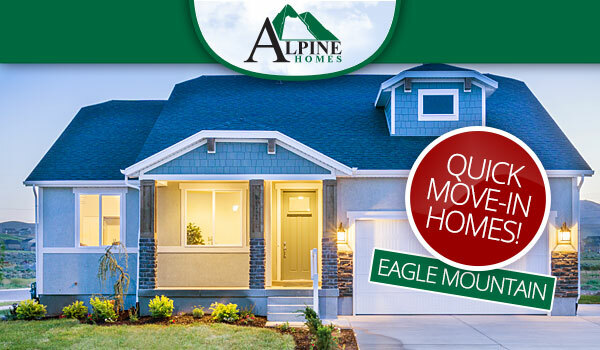 Lock a low rate on quick move-in homes! Our quick move-in homes have rate locks in place through Wells Fargo Home Mortgage giving you yesterday's rate today! By taking advantage of a past, lower mortgage rate you could save thousands over the life of your loan! What's more, with the lower rate you can qualify for more home. Call the sales agent for the quick move-in you have your eye on, or call Brian Evans of Wells Fargo at 801-541-4850 for further details. Become a Harvest Hills VIP for special introductory pricing, priority home site selection and an invitation to the neighborhood preview event. Check out these quick move-in homes at Loneview on home site 245 and 246, all with third-car garages. You can take advantage of a 3.75% interest rate lock with Wells Fargo Home Mortgage, our Listed Lender. Plus, if you act quickly you can receive a $7,500 Builder Bonus**. *Rate lock is subject to loan type and is subject to expiration. See Wells Fargo Home Mortgage or our site sales agent for details. 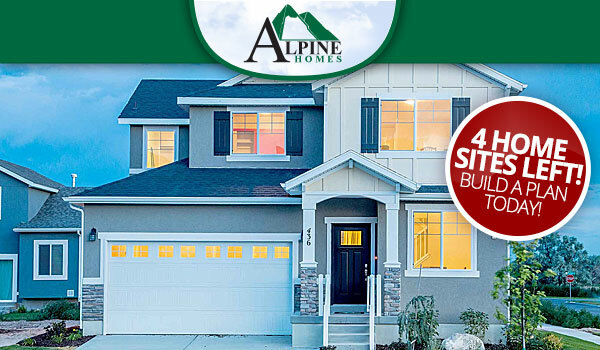 **Builder Bonus may be used towards upgrades, a price reduction, or closing costs when using our Listed Lender. Not valid with any other offer or promotion. Builder Bonus promotion must be stated in General Addendum 1 with the initial offer in order to qualify. A 50% options deposit requirement is required when applying the promotion to upgrades. See our site sales agent for details.